Where the Hell is Patrick Henry When We Need Him? My buddy Hognutz has asked that I repost a picture that I originally posted on the Dont Tread On Me website. I only left it up for a day or two because I was looking for feedback and it did not match the theme of the website. 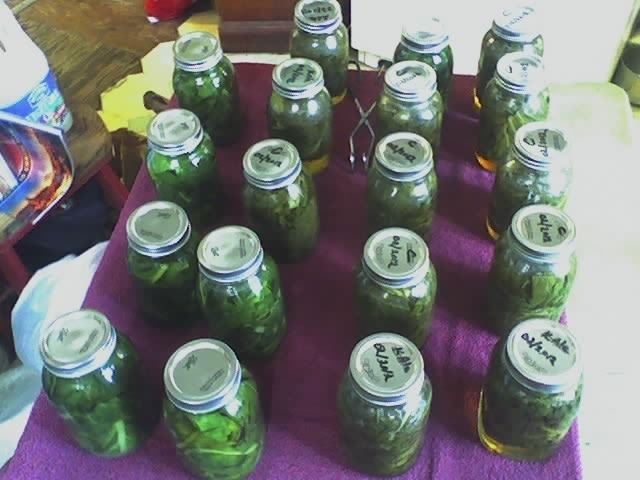 Some of you asked to see the results of our afternoon canning session. I will let you be the judge of our labors. Mixed greens. Love the emerald color. Here you can see the mixed greens that we love so much. All we have to do is add them to a pot, heat and serve, usually over cornbread with a little pepper sauce for added flavor. Greens, beans, peas and a few types of meat make up our diet. During the spring, summer and fall we live on fresh vegetables. We add meat in the winter along with dried beans. Commercially grown mushrooms. Just imagine the gravies and sauces this will make. We add mushrooms to our gravies and sauces and then add this to rice. ((The difference between sauce and a gravy is, gravy is made with water and a sauce is made with milk or cream.)) Most of our gravies and sauces are made without meat. This does not include seafood. Etoufee, sauce piquant and couvillion are gravies and sauces made with seafood. These too can be canned in jars. This is very easy and you can learn to be a good canner in a very short time. Canning is simple and safe if you are careful and follow the steps outlined in the Ball Blue Book. You can branch out from there as your experience grows. Don’t be intimidated by what appears to be complex at first. It just takes practice and the willingness to not be afraid to make a mistake now and then. Hope you enjoyed the pictures. Good luck and God bless. Several of you have asked for an opportunity to contact me directly, in case you have personal data you want to share or don’t want me to look like a total fool, so I have added an account just for your personal questions. IF you have a general comment, please leave it on the appropriate article’s comment site. I try to answer a lot of these questions and comments. Sometimes I wait to see what the overall feedback numbers are and address as many questions or comments in as few comments as possible. I have other housekeeping issues that I will address in the coming days, weeks or months. Von and I are still canning greens and maybe, tonight, we will can mushrooms. These are commercial mushrooms not wild. I do not advocate canning WILD mushrooms. I get a great deal on mushrooms and we put them in pints. I will post a few pictures so you can see our successes and maybe BOO BOO’s. Remember, if you want Von or I to address any particular issue just send us your questions or concerns and we will try to help or refer you to someone who can. Currently working on an article and hope to have it out in the next day or two, depending on our canning schedule. Good luck and God bless you and yours. 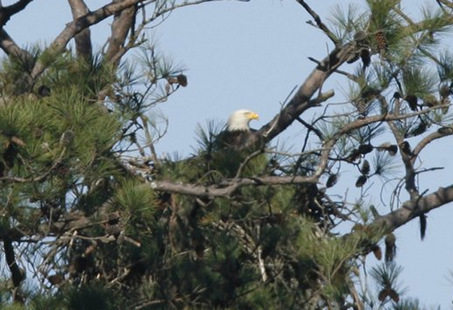 We observed nesting pairs of bald eagles on the way to the museum. Awesome!! RED ALERT!!! WARNING TEXAS VOTERS: POSSIBLE MASSIVE VOTE FRAUD IN THE MAKING!! !